Contrary to what your uncle might believe, saying "I'm Hungary for Turkey!" is not a clever geographical joke. However, you should actually be hungry for Turkish food, because it's some of the best and most historically intriguing stuff out there. With meze lapping at our nation's shores and into our European snack markets, we enlisted the help of Burak Karacam -- the owner/operator of Pera and Pera Soho in NYC -- to give us a beginner's guide to the important Turkish foods. Oman... this is gonna be good! What's the deal: Döner, as it's commonly known, is a street-food staple not just in Turkey, but also all over Europe, owing to Turkish immigrants who spread across the continent and introduced what is possibly the most popular post-bar food in Eurasia. 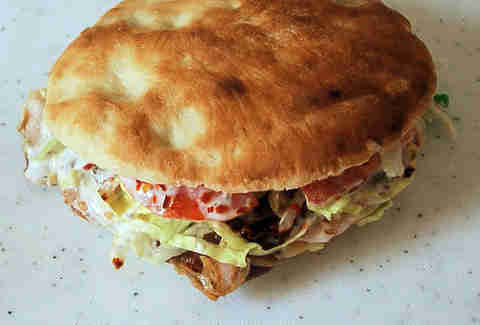 German-Turkish immigrants are credited with introducing the concept of döner as a sandwich, placing the melt-in-your-mouth meat between slices of pita with pickles, chilies, tomatoes, and onions. 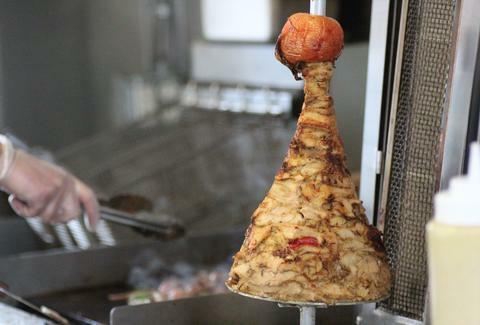 Kinda like shawarma, this is what they would eat at the end of the Turkish Avengers movie. What's the deal: A savory Turkish pastry, the börek is one of the oldest historically Turkic foods, since it even predates the migration of the Turkic peoples from central Asia to the subcontinent. 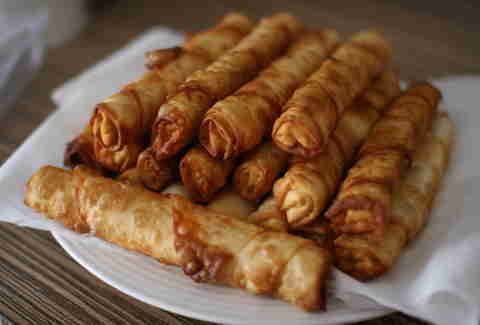 They come in a variety of shapes and sizes (pictured above are sigara, or pen-shaped böregi), so pretty much anyone can find a börek to suit their tastes. Fried ones tend to be more commonplace due to their easy preparation, and pan-baked ones are typically more labor-intensive and served for special guests. What's the deal: Sea bass is a huuuugely popular fish in Turkey, and it's cooked every which way -- grilled, poached, filleted, or marinated in citrus like ceviche. 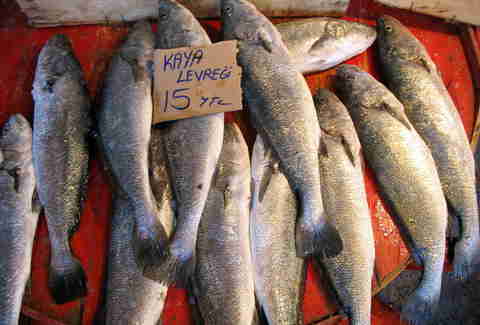 Another popular preparation is a whole grilled fish (meaning that the head is still on), which is called firinlanmis levrek. The mild and delicate flavor of the Mediterranean fish have made it a hit in other European countries, too, where it's called Cam Neely branzino, lubino, or loup de mer. Translation: Possibly Mongolian for "to pile up"
What's the deal: This traditional dessert pops up all over the Mediterranean, but Turkey is reportedly where the version that we know today first came to be, back in the time of the Ottoman Sultans. 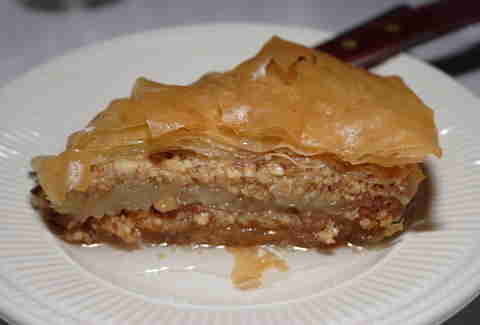 Piles of filo dough are placed in the baking pan, separated by layers of chopped almonds, pistachios, and walnuts -- just the way the Topkapi Palace chefs used to make it! The city of Gaziantep in Turkey is particularly well-known for their variety, which incorporates tons of pistachios. Translation: Chinese for "filled buns". STOP GIGGLING. 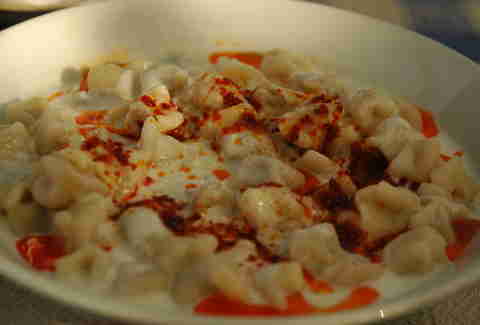 What's the deal: These tortellini-esque dumplings are said to have originated as "mantou" in China, back when Turks were their neighbors, but as the Turkish people migrated across the Asian continent, several new versions were created of varying sizes and shapes, finally resulting in the most common Turkish variety: the small pockets called "cimdik manti", or pinched buns. They're traditionally home-cooked rather than found at restaurants, and the best examples can be found in the city of Kayseri, where they're served with yogurt and seasonings. What's the deal: Meze are typically served as appetizers before a meal, but can also be consumed as the entire meal itself (much like the pre-dinner when your family goes to an Italian restaurant). They vary wildly in preparation style and ingredients, from yogurt with spinach and garlic to ezme (hot pepper spread with walnuts), but some of the most popular ones are zeytinyagli, meaning "with olive oil". 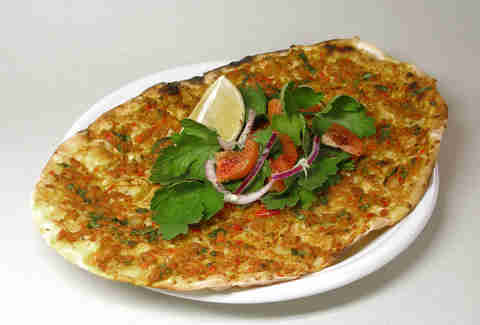 What's the deal: Kinda like the pizza of Turkey, lahmacun is a circular piece of dough baked with finely minced kebab meat and vegetables like tomato, onion, and parsley. It's pronounced "la-ma-joon", and it's usually eaten with the hands -- just like pizza! -- and served with a lemon wedge for a citrusy kick.